Congratulations for taking another step in the recovery of one of your most precious assets…Your Health! Here, at McCabe Chiropractic and Wellness Center, we want to make it perfectly clear that our number one goal is to aid you in the recovery of your health. Therefore, we feel it is vitally important that you are clear on the terms and language you will hear us use in our center. Below are words we want you to know. Some you have never heard before, while others you may hear every day. Regardless, understanding these terms will aid you on this journey toward a more complete state of being we call Wholeness. There is an energy present in living things that is absent in non-living things. This life energy is used by every cell in your body for animation, coordination, adaptation, healing, and growth. Health and Ease are synonymous terms in our office. Health (Ease) describes a time when your mind and body are functioning normally and easily adapting to common stresses in your daily life. This natural and dynamic state is a result of the adequate expression of life energy in your body and is a state your body desires. Disease is a term used by the Medical Profession to describe sickness. To them Disease is an entity that you can have and is worthy of a name and therefore a diagnosis. Dis-Ease is a term used in Chiropractic to describe a time when Ease (Health) has been lost. To us, Ease is the entity and Dis-Ease is the lack of it. Therefore, Dis-ease indicates the lack of normal expression of life energy in your body. That expression of life energy needs to be restored in order to regain health (ease). Subluxation is a state of being in which you are not fully expressing your life energy. This state usually occurs when there is an interruption in the neurological connection between your brain and your body and most often exists in your spine. This interference to your brain-body connection results is a progressive loss of your natural state of Ease (period?) and pushes you in the direction of Dis-Ease. The Chiropractic adjustment is a specific impulse given to the body (most often your spine) with the intention of RESTORING the neurological connection between you and your body. This specific impulse progressively restores the flow of your life energy and therefore your natural and dynamic state of Ease (health), thus allowing your Innate Intelligence to move you toward wholeness via the healing process. Wellness is a state of being where you have the ability to successfully adapt to greater than average stresses in your daily life. This ability is a result of an appropriate expression of your life energy and integration of positive lifestyle choices thus allowing you to continually grow stronger and move toward wholeness. Wholeness is complete integration of mind, body, and spirit allowing you to lovingly express your purpose and full potential in every area of your life. Chiropractic is the science, art, and philosophy of restoring and maintaining the neurological connections of your body with the purpose of maximizing the expression of your life energy in your body. Innate Intelligence is the constructive force found in all living matter that maintains it in active organization, and is responsible for overseeing the processes of animation, coordination, adaptation, healing, and growth. Any movement toward wholeness regardless of where you are at any given moment. 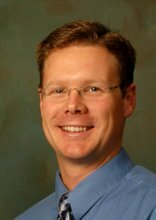 Dr. Zach McCabe's Health and Wellness Blog. Find information and helpful tips on how to equip yourself and your family for making lifestyle changes that reflect a desire to live a life of abundant health and meaningful purpose. And now, may the God of peace, who brought again from the dead our Lord Jesus, equip you with all you need for doing his will. May he produce in you, through the power of Jesus Christ, all that is pleasing to him. Forward: Do you find this information helpful and interesting? Please forward it to friends and family! Subscribe: To subscribe to this newsletter please email in8revolution@aol.com and type"subscribe" as the subject, or sign up at http://www.mccabechiropractic.com. Unsubscribe: To unsubscribe to this weekly health update, please reply to sender and type "unsubscribe" as the subject.